Bloodstone is green jasper dotted with bright red spots of iron oxide. The green color is caused by small particles of chlorite, a silicate mineral or hornblende needles interspersed throughout the host material. Its distinctive reddish spots are caused by the presence of iron oxides. 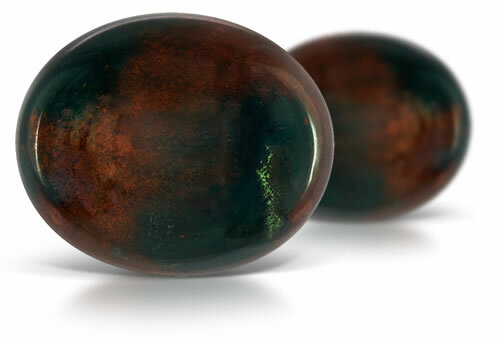 Bloodstone is dark green with red or brown spots. Appearance is what separates bloodstone from other chalcedonies.